The image above shows the new chapel as viewed from the street. 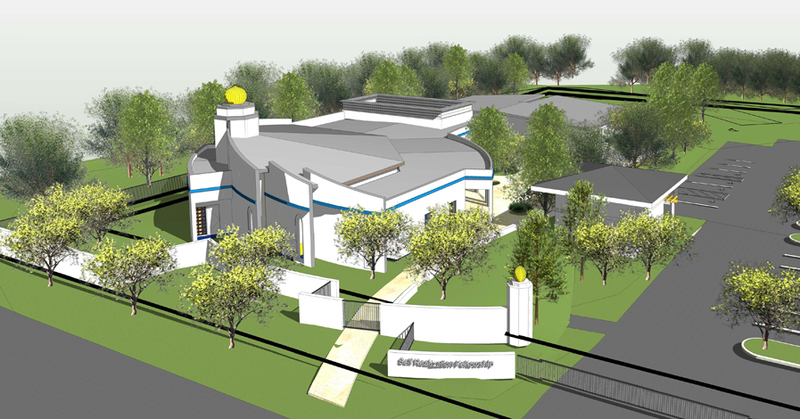 The design has been approved by Mother Center, and will be presented to our members for approval. With this approval, we will present our plans to the City of Escondido, and hope to have a modified conditional use permit by November 2016. If needed funds are available, we will begin construction in April 2017, and will move in in February 2018. To the right is a “fly-around” video that provides a 360-degree view of the chapel. 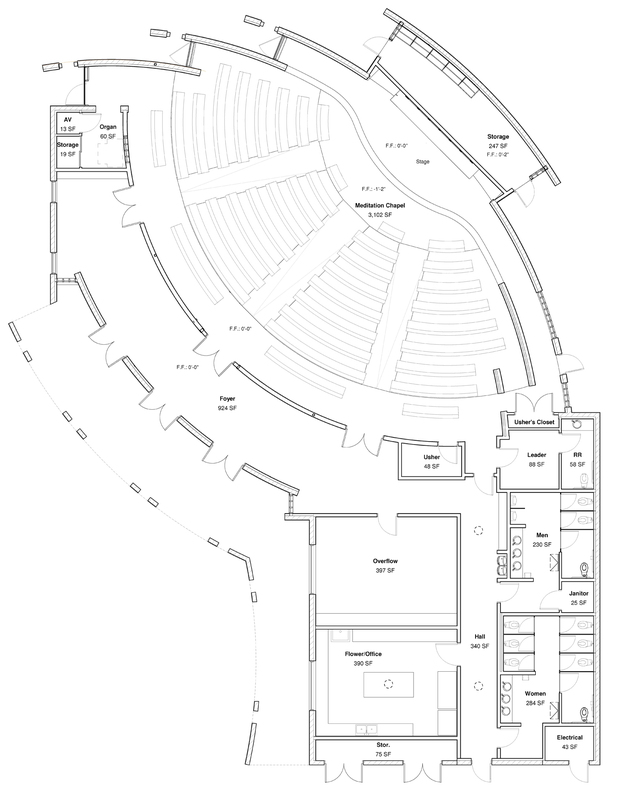 Below is the floor plan of our new chapel, which has been approved by Mother Center. Scenic Drive is at the top, and the existing building is below (but out of the picture). 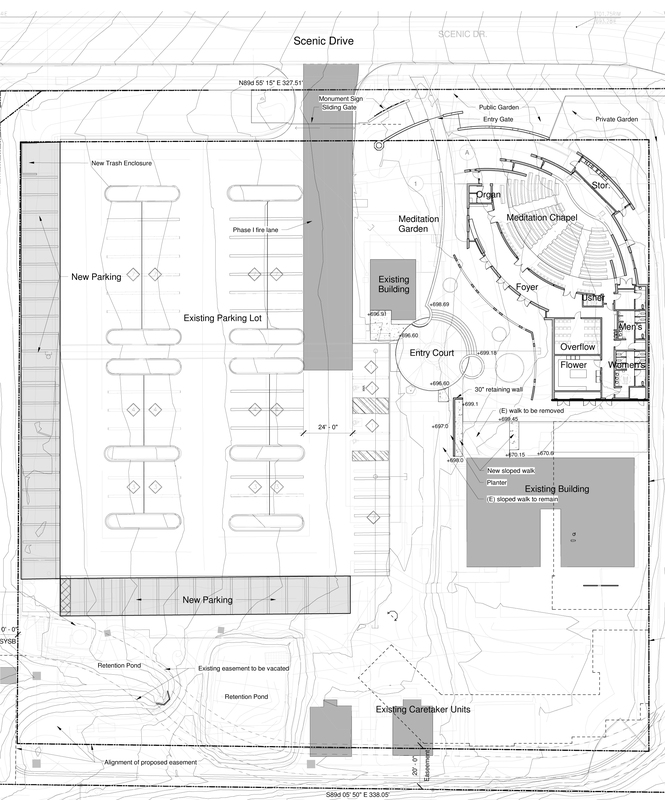 The bottom image shows floor plans for both the new and current buildings, in the context of our overall site.